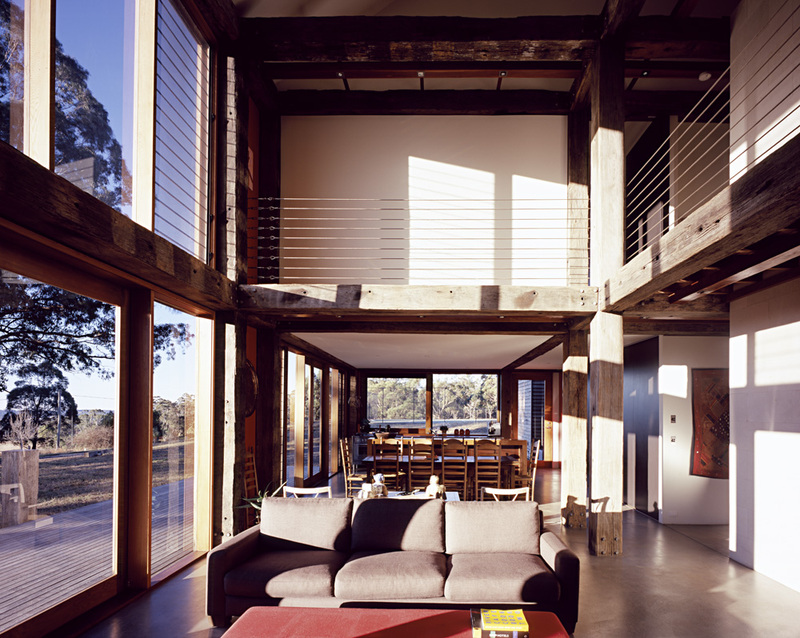 How could an architect design a ‘country’ house without a verandah? No eaves? Eaves have never been my strong point. If I do them they tend to be on steroids. We placed the house opposite a handsome stand of eucalypts. I thought it would be great to be able to look into the treetops from the heart of the house. That that space should have a dramatic scale allowing the winter sun to rip into the house and warm up the floors and walls. Shading the windows in summer is easy. Verandah’s are permanent, forever blocking out the winter sun. So this is a house with drama and strength and purpose. 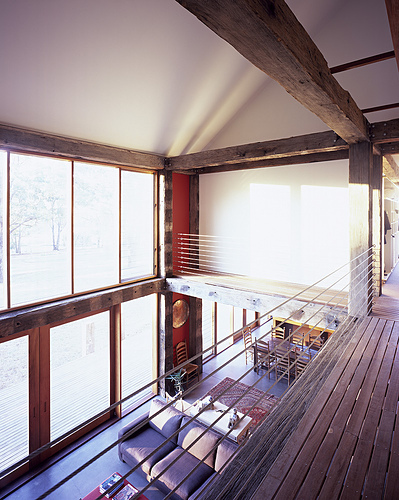 Again, a big reclaimed timber frame expressed internally. I found the timbers in a paddock outside of Bega on the far south coast. Over the years, and perhaps the most frequently asked question I’ve fielded is, ‘it is expensive to build with those big timbers?’ It’s an uncomplicated and predictable one-word answer!